The locksmith occupation has always been demanding not only because it needed speed and related to security matters but also because it required precision in lock systems installation and key cutting. These days, the expectations of customers are higher because the need for highly secured properties is also important and FC Locksmith in Toronto guarantees quick and accurate key cutting for all commercial and residential clients. Once, things were different. Locksmith machines were simpler and the keys at the possession of each family were limited. Nowadays, people own many different keys from a tiny drawer to the key of the safe, cabinets, properties and, surely, a transponder key. 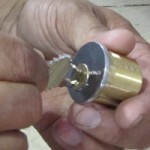 Today, key cutting is a very significant business, which requires good professional work and the right equipment. FC Locksmith has state of the art equipment, sophisticated machinery for the cutting of all types of keys and can serve all people in the greater Toronto area. 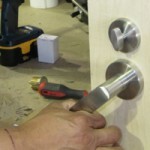 We are trained, experienced and have the capacity of cutting keys of all security door locks, windows or safe. From household mortise or cylinder keys to motorbike and car ignition keys, we have the means and expertise to do the job right and fast. FC Locksmith has built great technical infrastructures and you can expect that its mobile units are equipped with the right machinery for car key replacement on-site. We also have the capacity to cut transponder keys despite the fact that they are peculiar and unique. Due to our highly sophisticated equipment, we can cut and program them no matter of the model of the car. FC Locksmith Toronto can support your needs 24/7. All technicians keep on their training in order to keep up with the latest changes in the market and have the competence and technical support to cut keys for all simple door locks or windows or cut keys for complicated high security and technologically advanced locks. You can count on our precision and efficiency.